Chefer Cafe is a unique place on the map of Kraków. 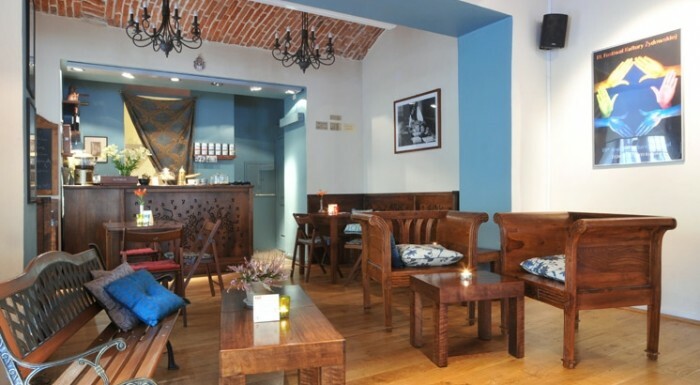 Located in the heart of a historic Jewish district – Kazimierz – this cafe combines love for Jewish as well as Israeli culture and cuisine. 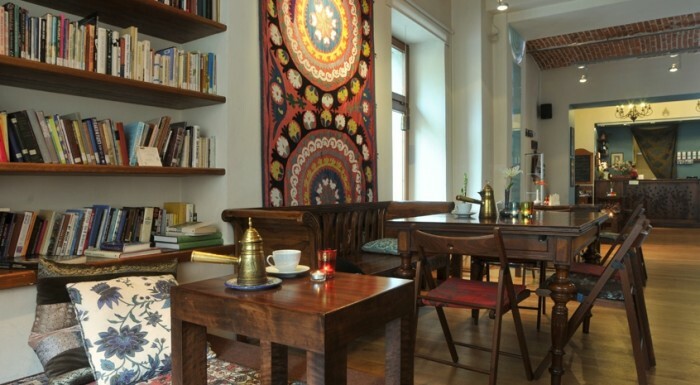 The cafe which is a part of the Jewish Culture Festival allows its visitors to enjoy the peaceful atmosphere of Kazimierz in a place full of books, Israeli games, and modern Jewish music. Apart from delicious coffee brewed in an original Israeli melting pot – finjan – you can try here kosher wines, fruit liqueurs, and tea with mint. What is more, the menu is full of genuine Israeli snacks – you can try here original hummus, pita full of vegetarian goodies, as well as exquisite desserts. Apart from unique atmosphere and delicious Israeli drinks, the cafe offers culinary workshops focused on modern Israeli cuisine, meetings with writers, concerts, writing workshops, and parties. It is definitely a noteworthy spot on the culinary map of Kazimierz!